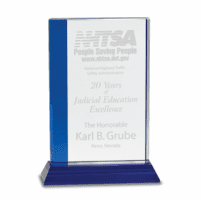 FEATURES/SPECS When you have the world in the palm of your hand, it means that you have its undivided attention and respect. 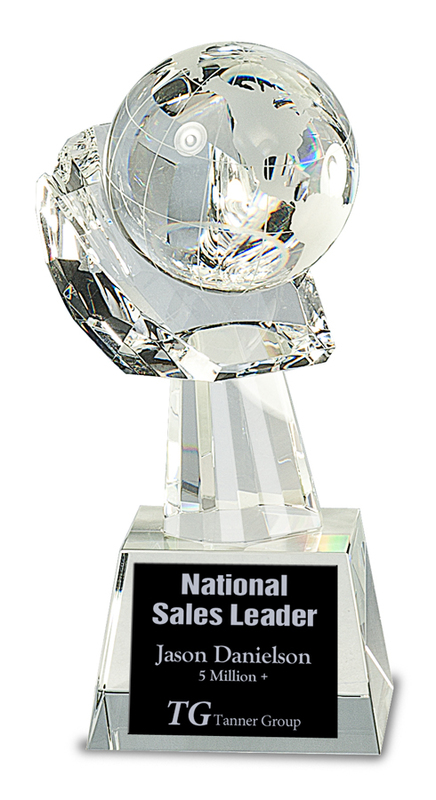 That's a wonderful image to present to a very special person who has achieved greatness-as a leader in your company, in a scholastic or athletic competition, as a tireless volunteer or minister, or an honored family member. 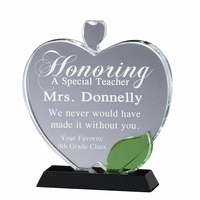 This award reflects that sentiment exactly, with a clear crystal world, complete with longitude and latitude lines and continents etched into the surface. 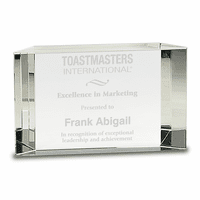 The world rests in the palm of a large hand, and sits on a crystal pedestal base with a black engravable plaque where you can express your message and/or company or organization's logo. 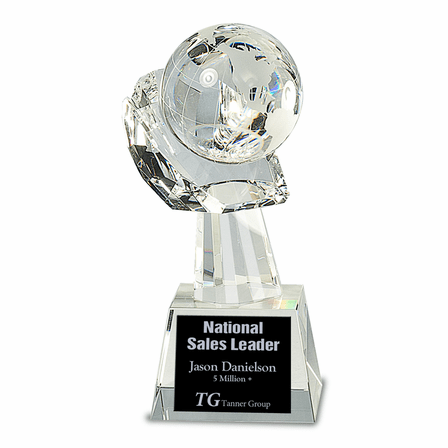 Your award recipient will love the acknowledgment of how much they are respected and appreciated, and will proudly display the globe on desk or shelf for all to see! 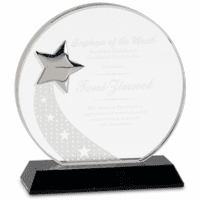 We ship it to you packaged in an attractive gift box, along with our own Satisfaction and Performance Guarantee, because we know you will love your award selection!